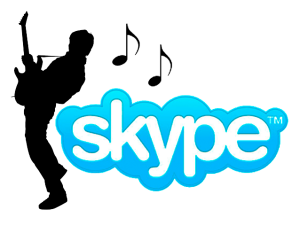 If you’ve never tried Skype guitar lessons before, it’s time to think again! I’ve been lucky enough to perform, compose, publish books and importantly teach guitar throughout a 35 year career. I’ve had the pleasure of tutoring near on one thousand people over this time in all aspects of guitar playing and performance. Many of these people were beginners when they started but they didn’t stay beginners for long. I have developed a system of guitar tuition that accelerates learning meaning those that come to me for guitar tuition make fast progress towards their goals. Some of the people I have taught were already in bands, others progressed to the level that they now are professional musicians but many of my students simply come to learn a few tunes, have a fun time and learn a truly priceless skill. 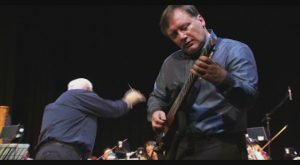 I am part of the guitar faculty for the BA (Hon) at Napier University so no matter your level, I am sure I can help you attain your musical goals. WHAT STYLES/AGES/TECHNICAL ABILITIES DO I TEACH? Beginners, rock, blues, jazz, classical, folk, singer/songwriter. All age groups from children through to adult. I teach all technical abilities from beginner to advanced. full fret board knowledge – no more mystical parts of the guitar neck! My lessons are all backed up by the in-depth website I run titled GMI – Guitar and Music Institute. 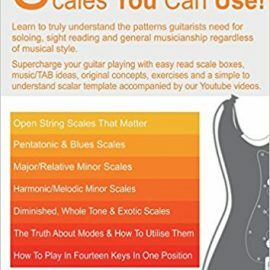 This website offers hundreds of articles, video lessons, podcast interviews, reviews on guitar equipment, printed and electronic books and many free resources for guitarists. When you are not at your lesson, you can still learn with me. I am based in Edinburgh, Scotland. Time is GMT (and GMT +1 in summer). HOW MUCH DO GUITAR SKYPE LESSONS COST? My Skype guitar lessons last for one hour. If you are serious about starting guitar, or developing your skills, or your a pro player needing bespoke training in a specific area then book a lesson or contact me through the CONTACT page, I’d love to hear from you. PVG (protecting vulnerable groups) certified. Children (under 16) must be accompanied by an adult when learning at all times and be present during the lesson.